Turkish Minister for European Union Affairs Omer Celik on Tuesday challenged Greece’s sovereign territories saying that Agathonisi island belongs to Turkey. The reason for this attack was the visit of the Greek minister to Agathonisi on Easter. “Agathonisi belongs to Turkey. It is Turkish land. 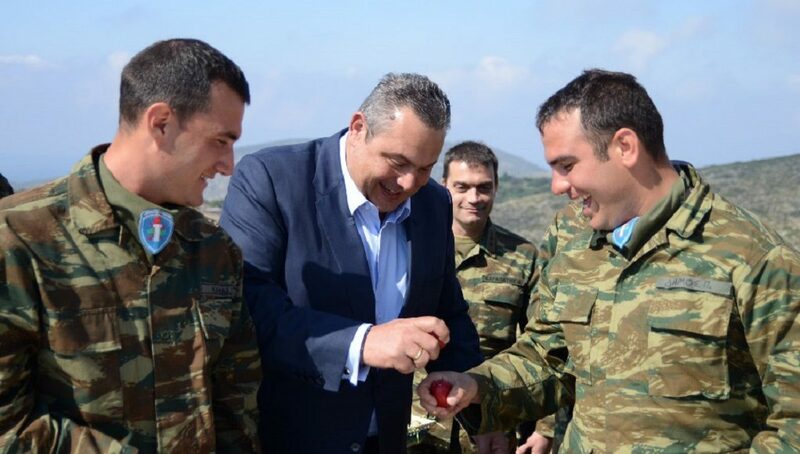 What the Greek defense minister did is not a serious act,” Celik commented on Turkish television. Athens denounces Turkish minister Celik’s statements about AgathonissiGreece’s foreign ministry, in an announcement on Wednesday, strongly condemned and denounced statements made by Turkish European Affairs Minister Omer Celik. “We categorically condemn the continuing revisionary policy of Turkey, which is making provocative statements questioning internationally recognized borders as these have been historically formed and established under international law in the last century,” the announcement said. Greece denounced Turkey’s continued revisionary and dangerous behavior to the international community and the member-states of the United Nations, the announcement added. “It creates a painfully bad impression that this time the questioning of international law comes from the lips of the minister responsible for Turkey’s accession to the European Union,” the announcement added.